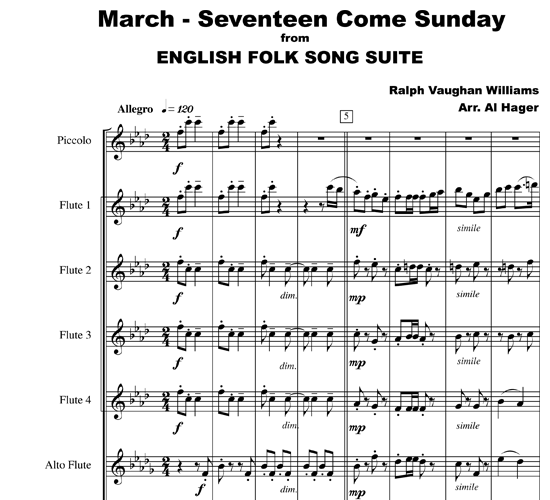 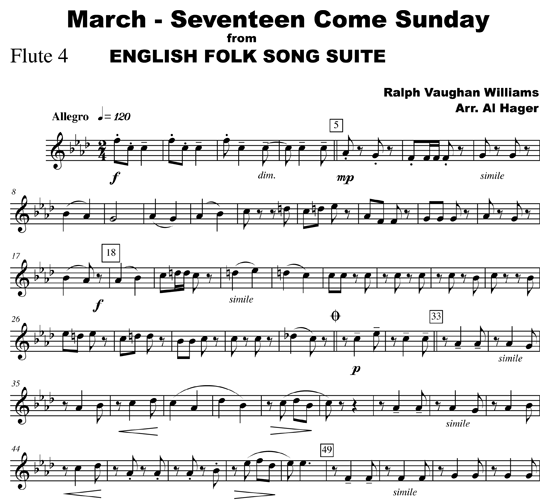 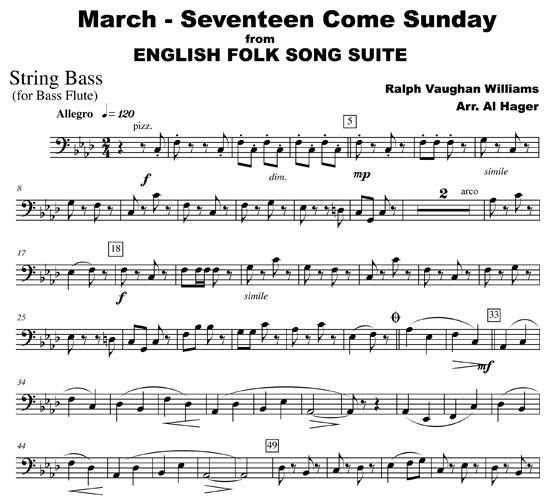 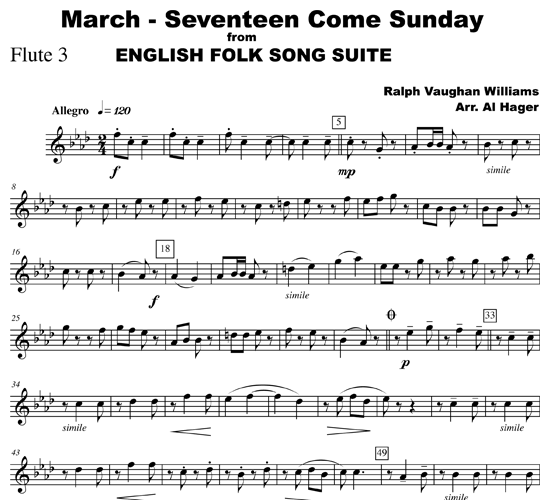 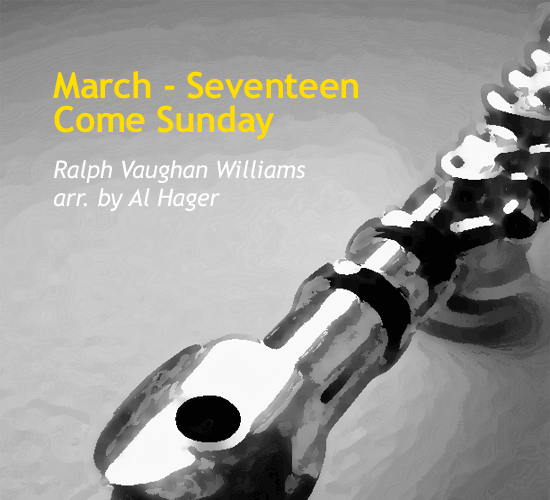 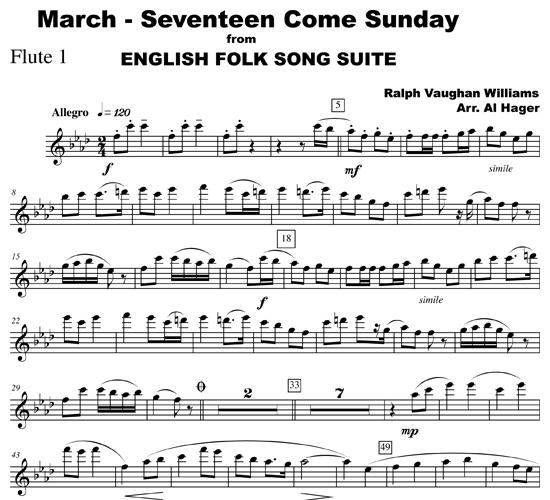 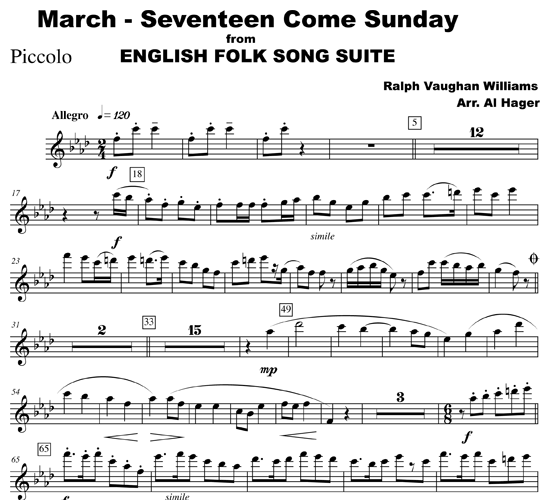 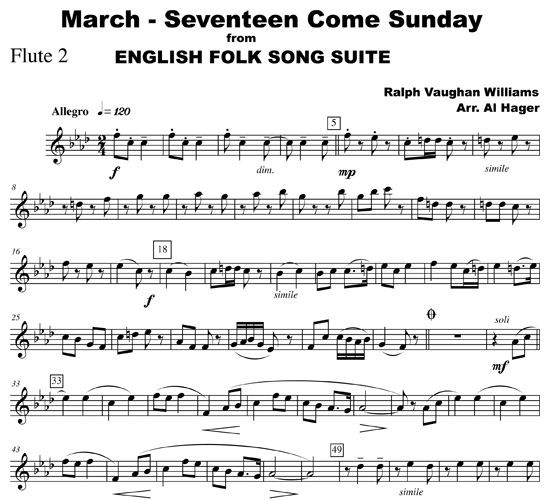 “Seventeen Come Sunday” is the first movement of Ralph Vaughan Williams' English Folk Song Suite written in 1923 for military band and arranged for brass band and orchestra in 1924 by his student, Gordon Jacob. 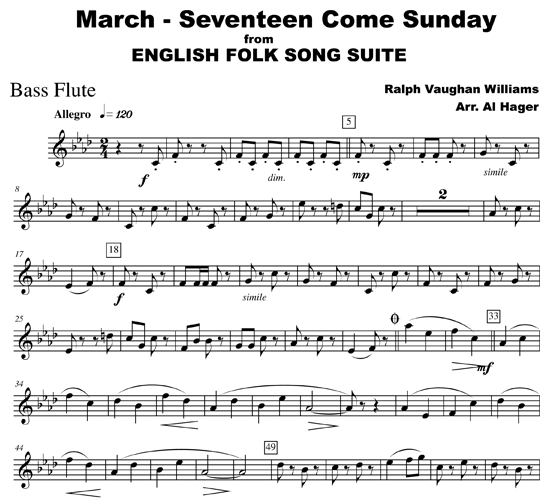 The principal melody is played by Flute 1 in measure 5. 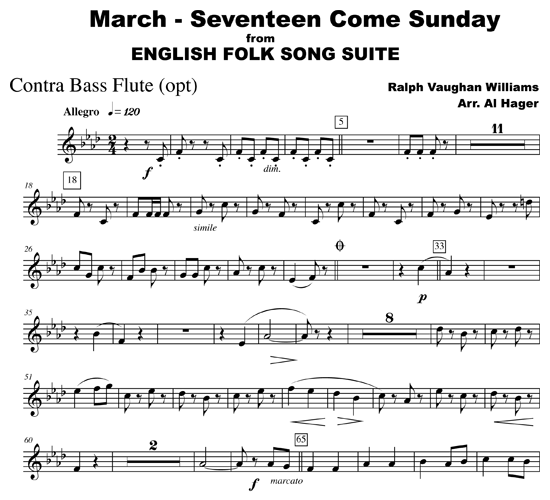 The lyrical second melody, “Pretty Caroline” is introduced by Flute 2 in measure 33. 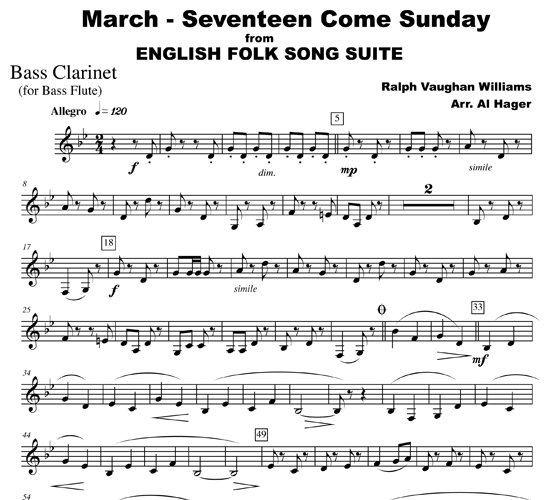 The third folk tune, the marcato style “Dives and Lazarus” occurs in the low flutes in measure 65 with piccolo and Flute 1 doubling the technical 6/8 counter melody. 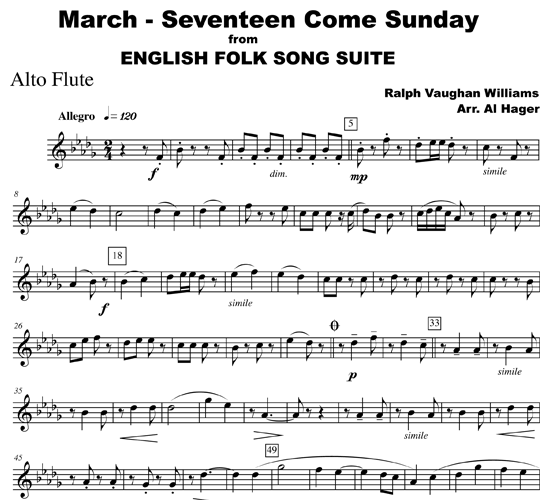 This arrangement for flute choir follows the form, key, and tempo of the 1924 edition but without the repeat of “Dives and Lazarus”.